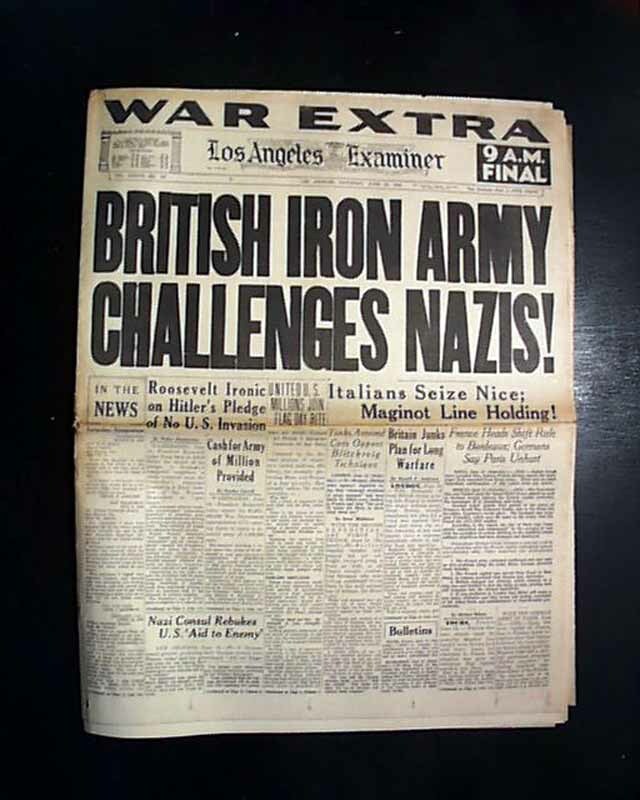 The front page has the bold, 2-line, banner heading: "BRITISH IRON ARMY CHALLENGES NAZIS," with a subhead: "Italians Seize Nice: Maginot Line Holding!" 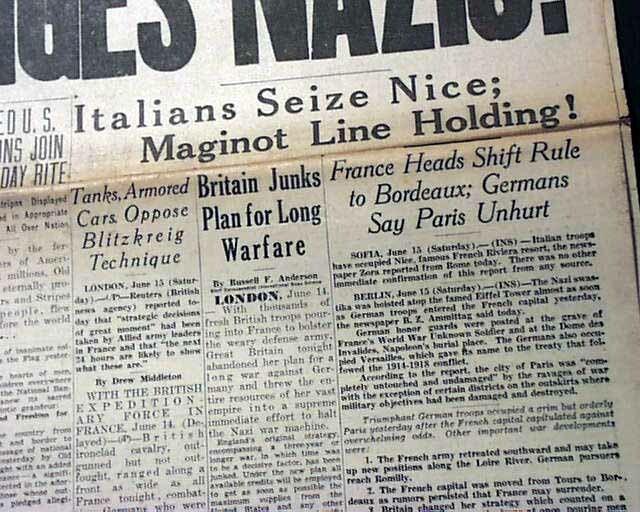 - which tell of Paris falling to the Axis powers. Additional related reporting is found within, with photos. See images for details. Complete in two sections, some (typical) browning at the fold, but overall good.